BENGLURU.OCT.24. A one day seminar was organized on Cardiology and Homoeopathy by the Government Homoeopathic Medical College,Bangalore. Dr.Aadil Chimthanawala who holds doctorate in Modernmedicine and Homoeopathy was the key speaker. Dr. A.L Patil, Principal, Government Homoeopathy Medical College inaugurated the seminar. Dr.N.C.Deshpande Dr.Guruprasad and other dignitaries were also present. 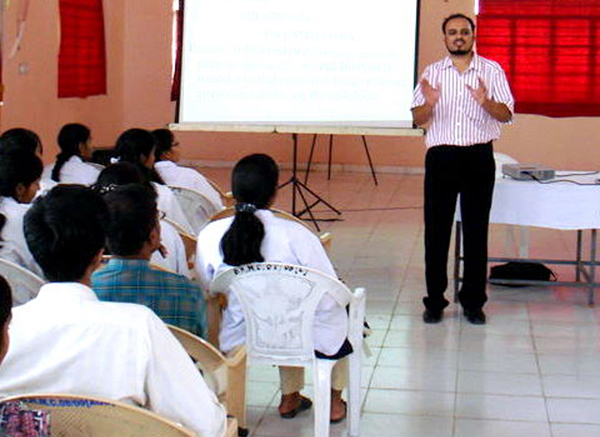 Dr.Aadil Chimthanawala spoke on the management approach in cardiac patients, with homoeopathy. Interaction between the students also held at the end of the seminar.